Discussion in 'Community Announcements' started by Baudin Toolan, Jul 8, 2018. On Wednesday July 11th, Grepolis will be updated to version 2.167. As always there will be a short downtime while the update is applied. With this update we added to the game the first animation marking movements on the map as well as few bug fixes. For a while players were asking us to add some animation marking movements on the map. As a first attempt to bring a feature like that to the game we will add animation showing movement of the troops between cities and Bandits Camp. 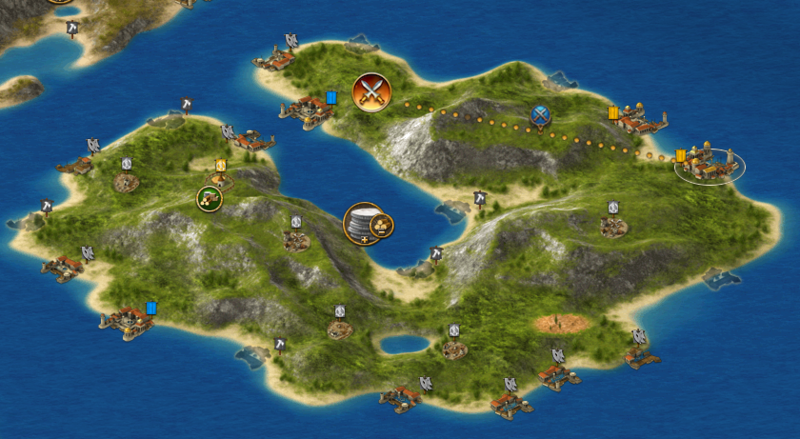 Depending on the feedback, we plan on expanding it to other actions on the map. Cave - Cave window was in some cases overlapping user interface at the bottom part of the game window. Advisors - Double-clicking on the 'Show all troops' button in the 'Troop overview' window led to an internal error. Login page - In very rare cases, trying to log in to an account which was in the process of being deleted, resulted in a misleading error. We hope you enjoy the update and would love to hear any feedback you have here.